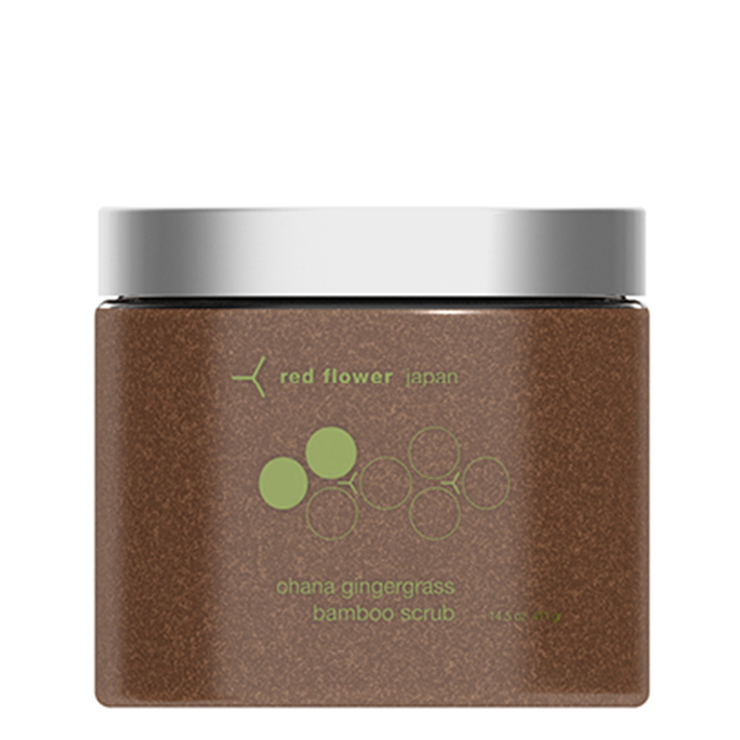 Reveal skin that looks natural, healthy, and smooth with the Ohana Gingergrass Bamboo Scrub by Red Flower. This fine grain scrub makes skin feel invigorated, while bamboo cleanses away impurities. Blended with the oils of ginger and lime, skin is left looking firm and radiant. This scrub is further enhanced with blue tansy for a soothing feel, fir oil for a toning effect, and mineral rich silt to encourage a youthful appearance. Scoop a small amount into the palm of the hand, add warm water and gently apply over body in small circular motions. Spend more time and apply pressure as comfortable to patches of rough skin or areas that need a feeling of increased circulation, like the hip area. To get the same effects on the face, apply a small amount and massage with less pressure, then rinse.